The Ventura watch company was established by Pierre and Yuko Nobs in 1989. 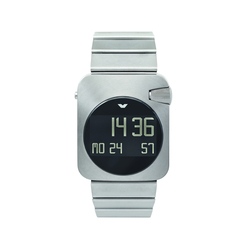 In Ventura’s opening year, one of the first products “watch Flemming Bo Hansen” was selected to become part of the permanent design collection at the Museum of Modern Art “MoMA” in New York. 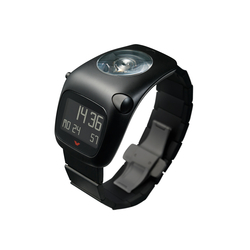 Three years later in 1992, the same “watch” received the Red Dot "Best of Best" Design Award. Ever since, numerous Ventura timepieces have been granted international awards for their outstanding design: most recently with the GOOD DESIGN (Japan) and the Red Dot "Best of Best" awards for the new SPARC MGS in 2011 and 2012. Ventura also won a Red Dot 2012 award for the belt collection "Gents & Belts". Working with accomplished designers, unrestrained by the limitations of using standardized movements, Ventura has developed and defined an archetypical design language of its own. Ventura’s quest for functionality, precision and quality is deeply rooted in our experience and competence of manufacturing traditional mechanical chronometers. With the legendary v-matic collection designed by the late Hannes Wettstein, Ventura was amongst the ten largest manufacturers of officially certified Swiss chronometers COSC, in the mid-nineties. Creating and building mechanical watches with the same standardized, mass-produced mechanical movements however started to become routine and threatened to stifle our urge to innovate. 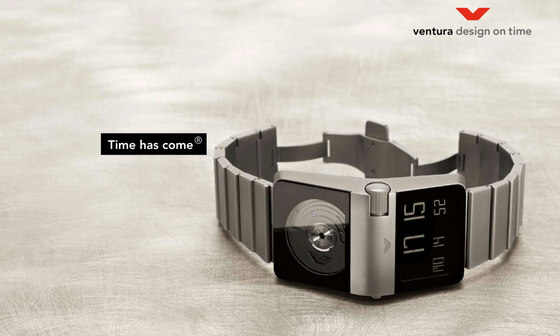 To enter the new millennium by focusing on the exclusive manufacturing of high-tech electronic timepieces was a bold move but in the Year 2000, Ventura introduced the World's first Automatic Digital watch SPARC. 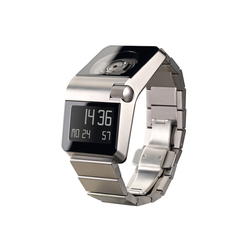 The a EasySkroll operating system combined with a single scroller functioning intuitively like a "mouse", was another important invention; it has become a benchmark for high-value digital timepieces. 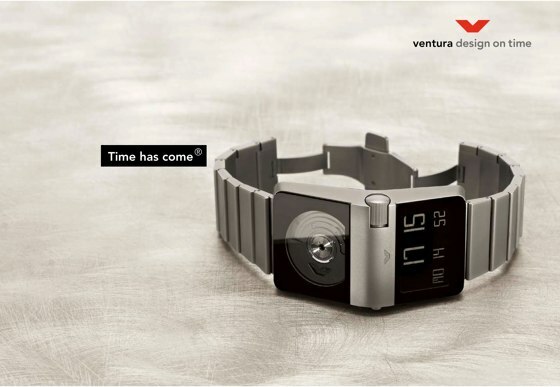 Ventura is the only Swiss "Manufacture électronique" engaged in making high-quality digital timepieces. All movements and time-modules are developed in-house and painstakingly built by craftsmen in a well-equipped manufacturing environment at our facilities located in Switzerland and in Germany. It takes far more than just the traditional skills to be a Ventura watchmaker. Trained in applied electronics and with an ability to program and test microprocessors, he must most importantly be capable to “think outside the box”, eager and curious to learn. While it surely would be cheaper to produce within a production chain, we prefer to maintain a “manufacture” system, in which our watchmakers build every watch entirely from scratch, from the careful assembly of the movement to the finishing touches on the final timepiece. We believe that this is the only way to create a product that deserves to share every single moment of your live for many years to come. 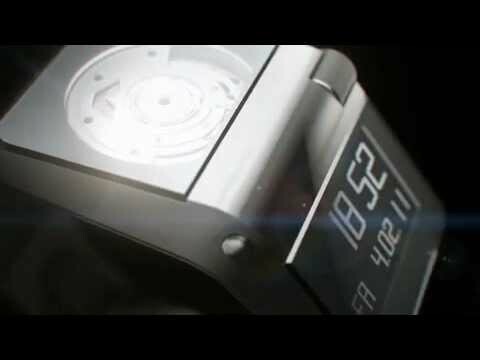 An interdisciplinary team of designers, mechanical-, electronic- and software engineers took the challenge to conceive a totally new kind of timepiece. The new SPARC MGS combines the venerable automatic winding mechanism and the liquid-crystal-display technology, two of the most important Swiss inventions in watchmaking. The SPARC MGS is entirely powered by human energy, a long overdue hi-tech re-invention of the automatic mechanical watch. The wrist movements of its wearer bring an oscillating mass to rotation. A mechanical gear transmits this force to tension a spring, which releases itself some 17’000 times per day to a tiny generator. The resulting electric energy is then stored in an accumulator. 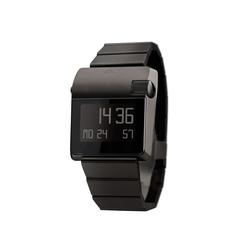 The proprietary software controls an intricate power management that includes a detector signaling the display to switch-off when the watch is not moved. The SPARC MGS combines mechanical engineering and state-of-the-art electronics to set a new benchmark for accuracy, multiple functions, ease-of-use and reliability. Time has come®: Unleash your energy!